While the food & beverage industry has traditionally tried to replicate the sweetness of classic products, particularly in the soft drinks space, a new opportunity also exists for the creation of something entirely new that has been inspired by the original. While Givaudan’s move comes amid a growing interest in adult soft drinks, which are typically less sweet and more premium/craft in nature, these next-generation less-sweet items can cut across demographics. If children are introduced to less sweet items from a very young age, they may well develop a liking for them, which could be one of the key strategies in countering childhood obesity. Interestingly, consumer research conducted by the supplier in France, the UK and Nigeria suggests that manufacturers may be over-emphasizing the demand for very sweet products. In fact, a majority of consumers prefer products that are less sweet, but that still match up to a full sugar version in terms of flavor appeal and other sensory attributes. formerly of restaurant La Vie in Osnabruck, Germany. The new sweetness approach was launched at an event at Het Amsterdamse Proeflokaal culinary school in Amsterdam this week, hosted by Givaudan and Michelin Starred chef Thomas Buehner, formerly of restaurant La Vie in Osnabruck, Germany, who demonstrated some of the techniques and approaches he used in this challenging yet arguably successful project. The display featured the taste testing of some rather unusual flavors of ice cream, to say the least, as well as a sample based on the highly trendy kombucha concept, where fermentation is key to slowly cutting out sugar content. “We had over 100 different dishes that we evaluated in the group and pared that down to six. We were not trying to come up with a new onion, balsamic or celery ice cream. We were instead looking at the naturally occurring molecules that are inside the recipe and add the sensation beyond what sugar brings that is positive,” Daniher explains. “For us, what we want to do is identify the naturally occurring components that are in the foods and targets that we make,” he notes. “We have broken them down into the naturally occurring molecules that we can then hopefully commercialize and build into natural flavor systems,” he notes. Following the culinary input, the first part of the process is to go through an analysis. “The simplest thing to do first off is to conduct a routine analysis and go through the known taste molecules that occur in most foods. So we make an extract of a product and submit it for analysis,” Daniher adds. Extracts were made from the recipes and submitted for molecular analysis. A routine analytical approach is applied measuring the concentrations of known taste active molecules (sugars, sugar alcohols, amino acids, organic acids, minerals and some nucleotides). The next step is to conduct a molecular reconstitution. “So we already know what the taste actives are. We reassess all of them into the appropriate proportions that they occur from the analysis and we taste them straight up. If we basically get the same effect, we are excited and have a match. Then we understand that we are dealing with the naturally occurring molecules that are bringing these taste attributes,” he further explains. Molecular reconstitutions are made and compared to the food targets. If both have equal taste, this means that the taste properties of the target are completely explained by the reconstitution components. The next step is omission testing to remove taste components not required to determine the “simplest working recipe.” If there is not a good match between the culinary target and the reconstitution, this means the target contains other taste-active molecules which need to be identified and quantified by a time-consuming in-depth analytical approach. This leads to new flavor ingredients. Newly-identified molecules are then added to the original reconstitutions and compared to the targets. 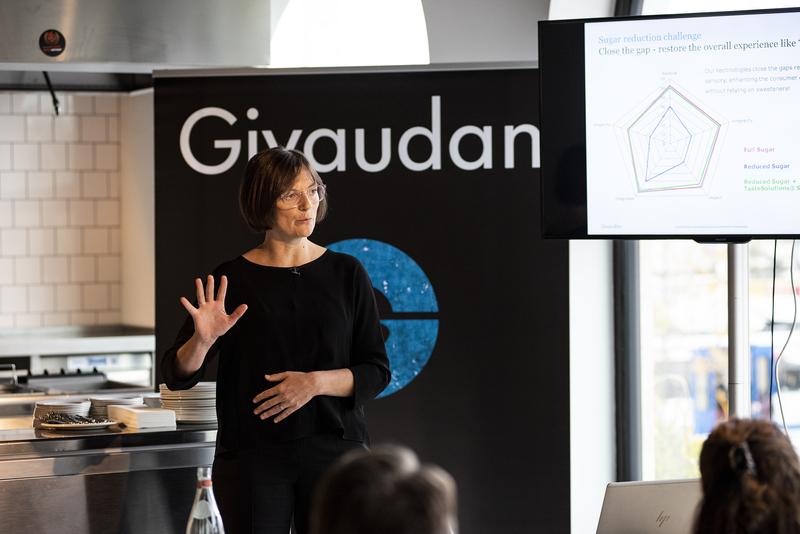 Traditional sensory methods work great for traditional flavors, but tapping into the next generation of great taste needs a new sensory approach, explains Sophie Davodeau, Director of Consumer Sensory Insights at Givaudan Flavor EAME. To understand and quantify the full sweetness experience, a new, proprietary, sensory-profiling methodology – a “holistic language” – was developed. This profiling technique allows Givaudan to deeply understand the consumer experience and translate this knowledge into real-world solutions. Holistic profiling in terms of sugar reduction is where complex flavor sensations are evaluated in terms of the overall sensory experience & flavor inter-relationships. “It is an analysis of the ‘sum’ rather than the ‘parts’,” Davodeau notes. Givaudan is applying a new sensory profiling technique that quantifies the holistic consumer experience. She lists that this is about: Impact, Complexity, Balanced, Integrated and Longevity. The new approach to sweetness was developed in response to the global drive towards sugar reduction, prompted by ongoing health concerns around obesity and diabetes and growing consumer interest in lighter, more refreshing and less sweet taste experiences. Nely Vasblom, Product Manager Beverages explains: “Increasingly, the food industry is being challenged by the public and regulators to play its part in reducing sugar consumption. In Europe and across the Middle East and Africa we have seen fiscal measures, such as taxes introduced on sugar-sweetened beverages, to encourage people to consume less sugar. “Alongside this we have also seen consumers becoming much more conscious about what they eat, seeking out healthy, low sugar products that don’t use sugar alternatives and a shift in taste preferences for some consumers, towards less sweet drinks and products,” she explains. “It is this underserved consumer space that we have focused on to deliver natural, less sweet products with a fully satisfying taste. We think this will offer an exciting new approach for our customers seeking to address the challenges of sugar reduction,” Vasblom says. 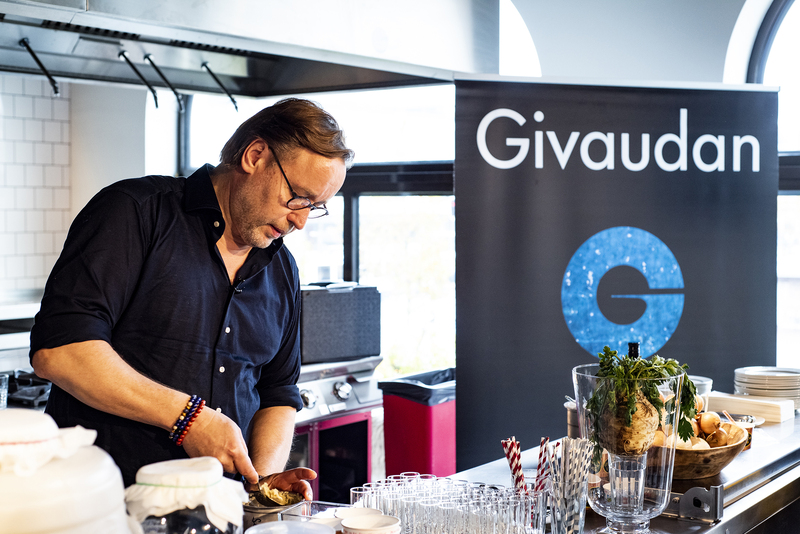 Givaudan shared the results of some recent consumer studies on attitudes to sweetness, which suggest that the notion of making things increasingly sweeter may be exaggerated. • 47 percent of UK consumers seek reduced sweetness perception in a beverage (Givaudan Better4U beverages study – UK (30-45 years old) Base = CSD drinkers in UK (807). • 55 percent of French consumers find classical juice drinks “too sweet” (Givaudan consumer study, France, n=200, 2017). • 66 percent of Nigerian consumers find carbonated drinks on the market “too sweet” (Givaudan consumer study, Nigeria, n=100, 2018). However, formulating less sweet products that have the same appeal as fully sweet ones is a challenge that requires more than simply subtracting sugar. You cannot simply add water to these products because consumers notice more than just a lack of sweetness when sugar is reduced. Complaints typically relate to a bland taste, a watery texture and a flat and tasteless product. Two consumer concepts were tasted at the event – a 50 percent reduced sugar orange drink that has been proven to perform as well as the full sugar product in consumer testing and a new reduced-sugar peach yogurt drink. 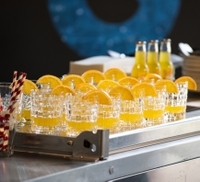 The former, Orange Sparkle, which was tested in the Netherlands, is a new Givaudan Orange CSD concept to “rethink sweetness.” The product addresses the consumer insight that “I love the sensation of drinking orange soft-drinks, but I’m also conscious of not consuming too much sugar or artificial sweeteners.” New “Orange Sparkle” is a sparkling orange drink, “that gives you full enjoyment, but only half the sugar.” The product contains 50 percent less sugar than an average orange soda. It is formulated with only natural ingredients, no artificial flavors or sweeteners. A Givaudan study of 200 Dutch consumers conducted last summer found that 86 percent found the concept to be appealing. With an overall liking score of 6.6/9, the concept surpasses action standard light CSDs, while achieving the same level as action standard classic CSDs. Consumer feedback on sweetness and taste found that 65 percent of the consumers find the demo “just about right” when it comes to sweetness. Givaudan is soon set to conduct a similar study on a strawberry flavored dairy drink in Germany. Daniher notes the strong market potential for these types of concepts, which will undoubtedly inspire development in this area. “Our consumer data suggests that there is a need in the marketplace to address consumers who want less sweet products. So this is an area that we are getting into and where we want to develop new technology,” he notes. “We believe that it is possible to make products that are less sweet, but equally satisfying. We are doing this by focusing on the positive drivers that sugar brings, beyond sweetness,” he notes. The holistic language is aimed at profiling products from an overall context, Daniher explains. “Sugar is really important in bringing sweetness to products, but it also brings body and complexity. We have developed flavor technology that can add back some of the complexity and body for low sweetness products, while not adding back the sweetness,” he stresses. He notes strong support behind the concept. “We believe that it is an area where our customers can develop products that are less sweet without having to be a slave to sugar. They can offer products that taste really satisfying,” he notes. 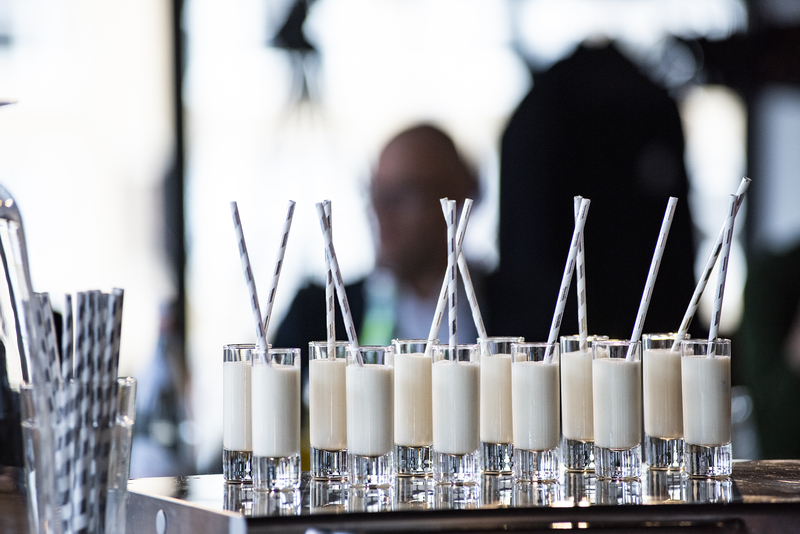 In terms of applications, Givaudan will naturally focus on beverages as the biggest opportunity, but the company will also focus on dairy concepts [which presents highly challenging formulation considerations] and even have played around in savory. “We hope to bring to our customers, demos on these products and it would be great if products that are less sweet but taste great come onto the marketplace,” he concludes. In terms of market potential, it is as yet unclear what the breakdown would be when comparing the replicated products with the less sweet products. But undoubtedly, for a flavor house, such as Givaudan, there is much greater margin potential in the latter. It will be interesting to see a new era of reduced sugar products that deliver in satisfaction emerge.